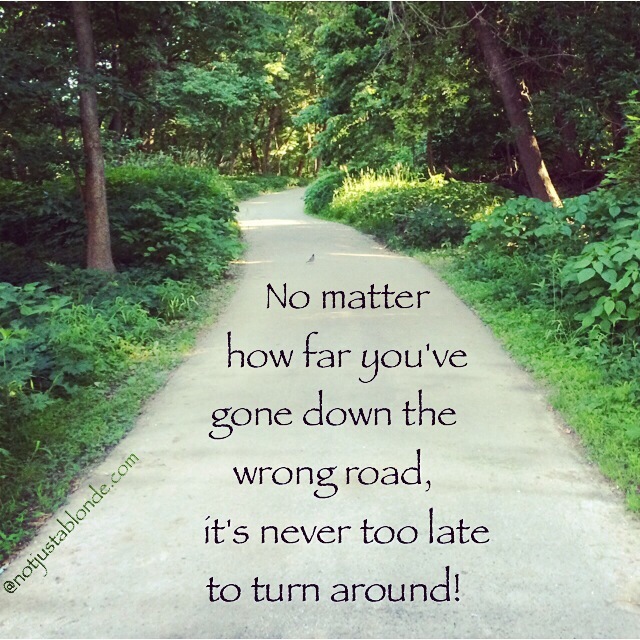 No matter how far you’ve gone down the wrong road, it’s never too late to turn around! Stop for a moment and look around… is this the place God desires for you to be? You will know in your heart if you have strayed off the path God has laid out for you! Do not worry, do not fret if you have stumbled into darkness! God has sent you a Savior to Light your path! He sends you angels to reach out their hands to walk with you if you but choose to join them! Our God does not force us to follow His path, yet is ALWAYS there to guide us if we are brave enough to turn around and look towards Him. but taking the first step is always the most difficult thing to do. That is now the challenge for others, who read this blog, to take.